¿Quiéres darle a tu lavada un impulso increíble? 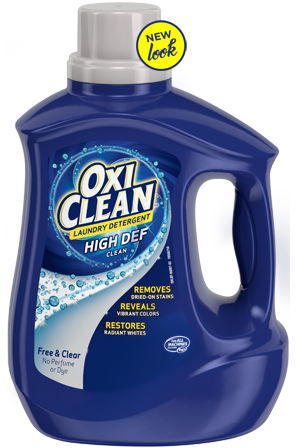 Lanza un paquete de OxiClean™ con Abrillantador Protector del Color dentro de cada lavada junto con tu detergente. 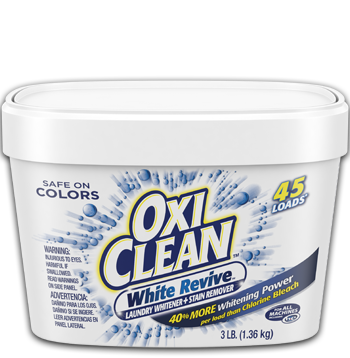 Cada paquete contiene polvo de oxígeno activo que llega a lo más profundo de las fibras en el tejido para romper y quitar las manchas con confianza rápidamente. ¡Y los abrillantadores ópticos reviven la ropa blanca y de color! • Los paquetes son fáciles de usar – ¡sin necesidad de medir, sin desperdicios! 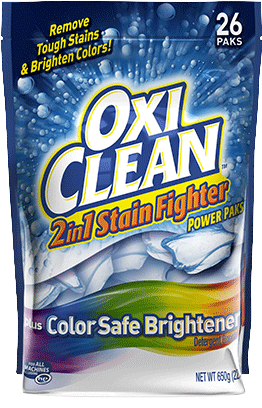 ¿Cómo te funcionaron los paquetes OxiClean™ 2in1 Stain Fighter Paks? 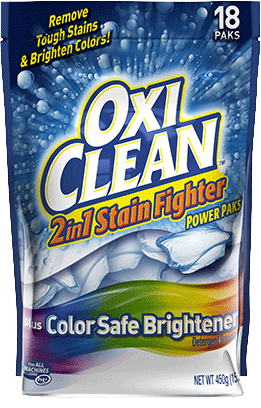 I use Oxi Clean power paks with clear liquid laundry detergent and Shout Color Catching dye-trapping sheets to prevent the stains from transferring. 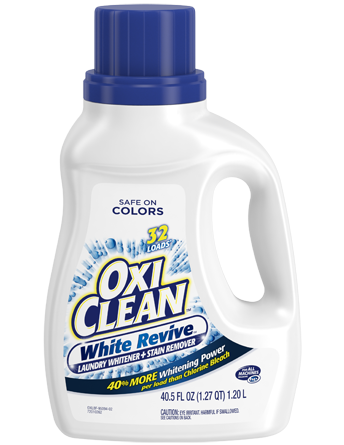 Whites made of all fabrics get very clear white. 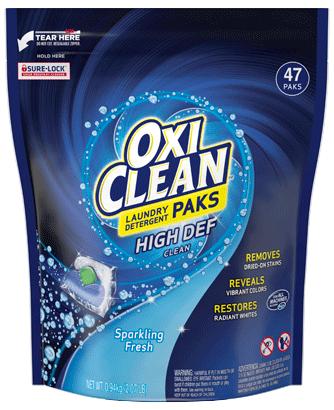 Black and navy get very bright, particularly if you use clear liquid detergent. 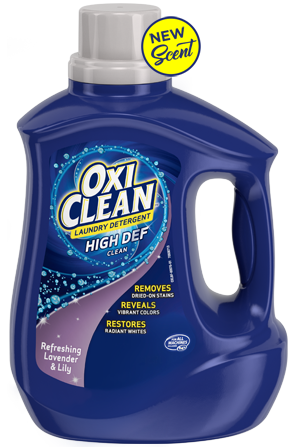 I don't notice any smell, perhaps it reacts with some powdered detergents? I happened to walk by the washer and I immediately got scared because I smelled a burning smell. 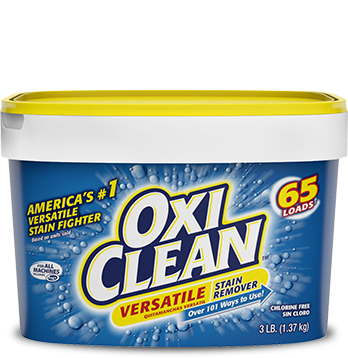 It's not my washer, I opened it up and it was the pack of Oxiclean that had dissolved. 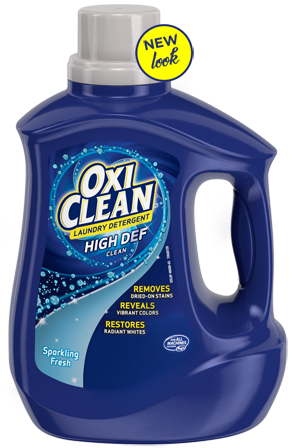 Smells like something burning mixed with chemicals. I'm definitely not using this again. 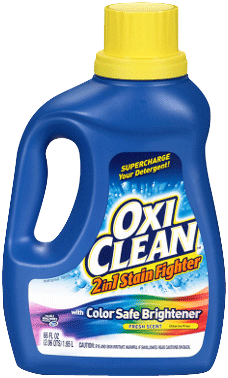 I prefer the liquid stain fighter.